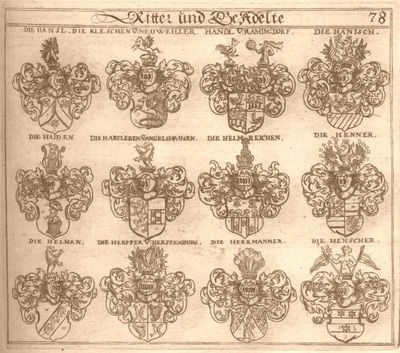 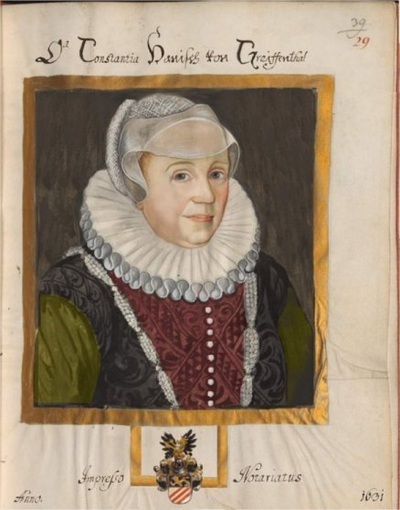 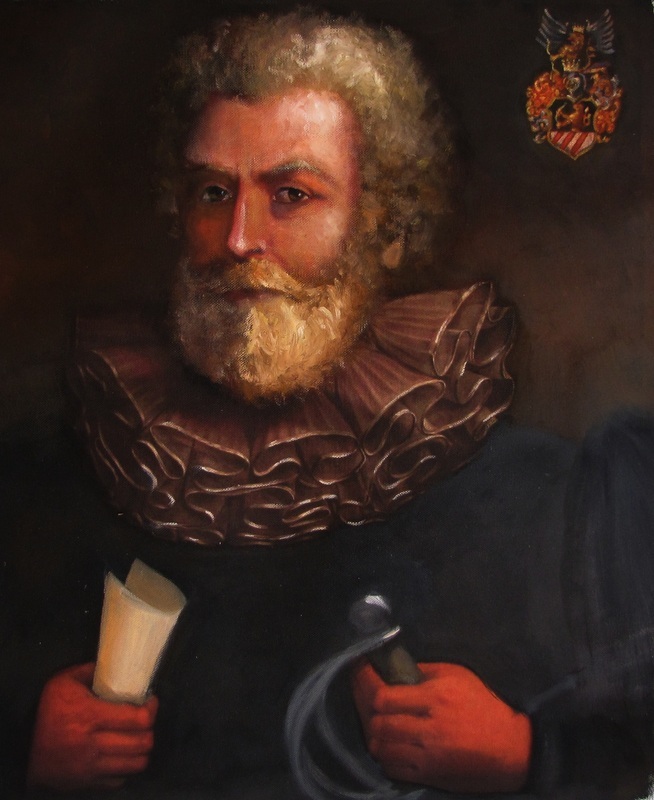 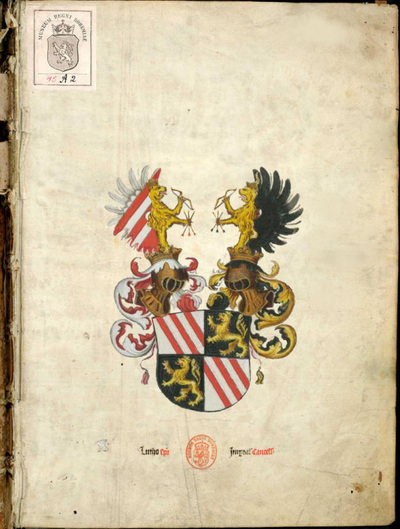 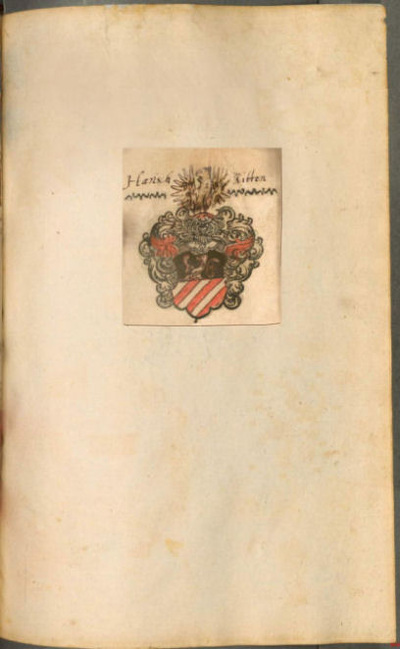 The Hanisch Family has used different heraldic symbols to identify themselves during the long history of the Holy Roman Empire, the Austrian Empire and Prussia. 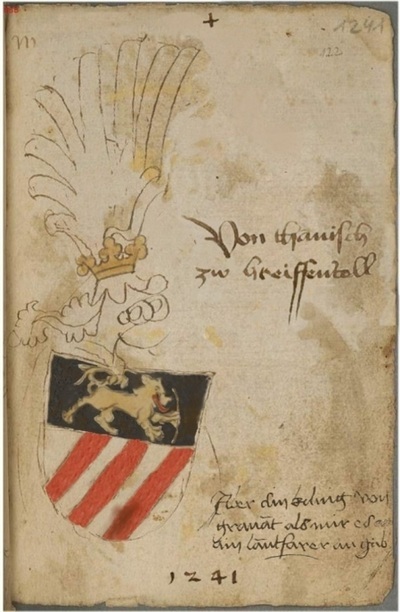 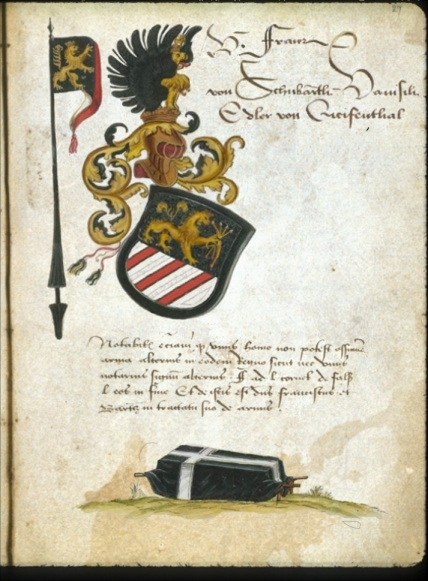 The oldest coat of arms includes the bohemian dual tailed lion and the Austrian red stripes over a white field, likely based on symbols originated during the crusades time. 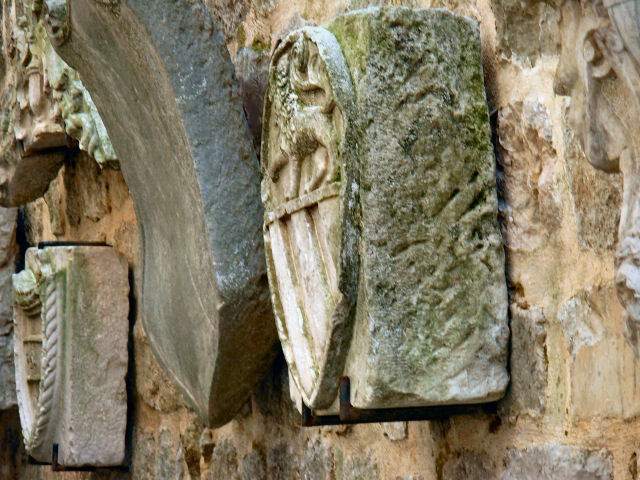 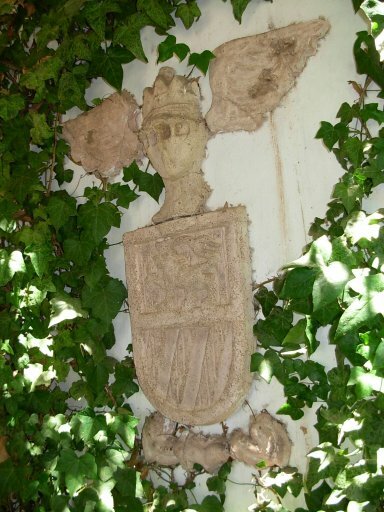 Moreover, this coat of arms corresponds to a gravestone found in the crusaders way to the Holy Land, unearthed in the Balkans. 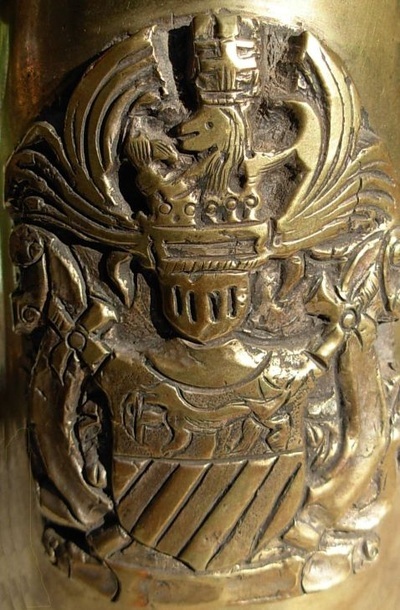 The Imperial Council of Knights includes the Hanisch family with the same ensign detailing a golden crowned lion holding a bow with three arrows adding an elegant crest based on a crowned helmet with to eagle wings upon which a rampant crowned lion holds identical arms. 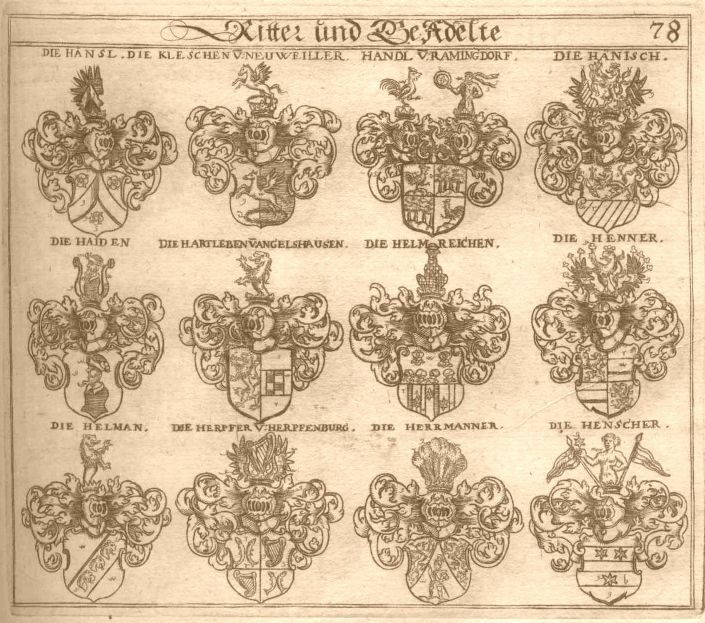 It was beautifully pictured by the famous heraldist Hugo Ströhl in the XIX century. 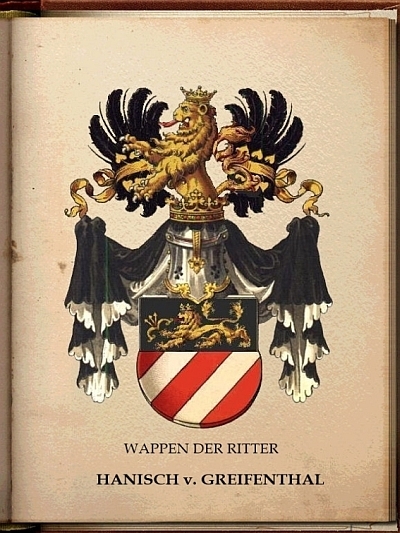 Other coat of arms were also described in the well-known armorials as Rietstaps and Siebmacher. 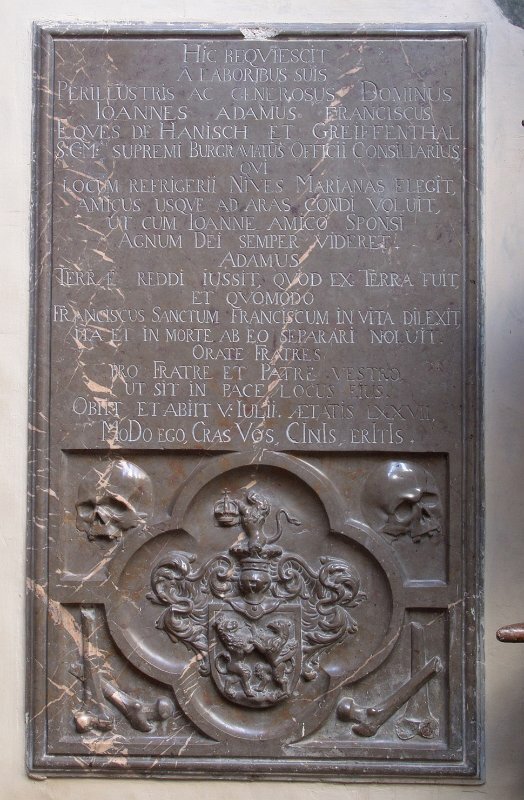 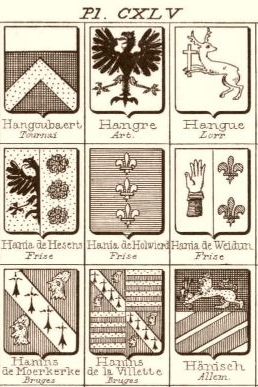 Given that barons, knights and landlords belonged to the low nobility, is difficult to find public printings or monuments as heraldic sources. 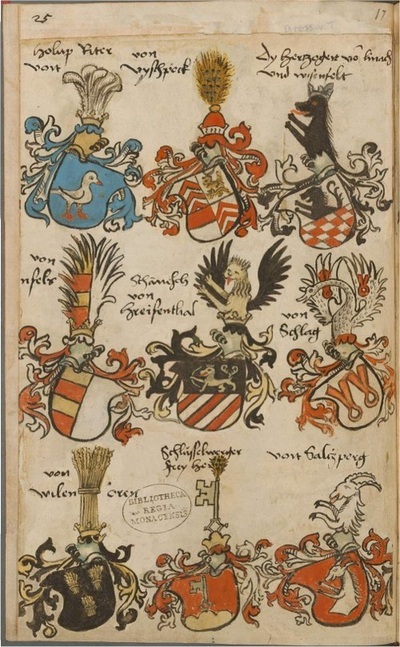 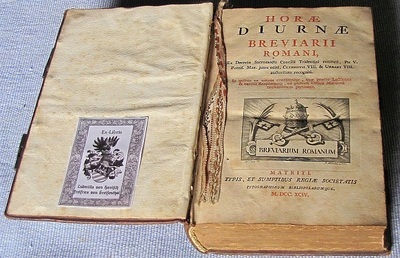 Ex-libris, hand painted family books, gravestones, domestic ornament and house frontispieces become the main heraldic resources, although, sometimes depicted coat of arms correspond to honorific positions rather than own family emblems.